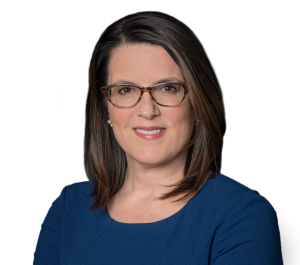 Patricia M. Giordano has been appointed to the New Jersey Association for Justice''s (NJAJ) Board of Governors and will serve as co-chair of the organization''s Women Lawyers Caucus. (PHILADELPHIA, PA) Personal injury attorney Patricia M. Giordano of the Philadelphia personal injury law firm, Feldman Shepherd Wohlgelernter Tanner Weinstock Dodig LLP, has been appointed to the New Jersey Association for Justice’s (NJAJ) Board of Governors and will serve as co-chair of the organization’s Women Lawyers Caucus. With extensive litigation experience in the Philadelphia region and Southern and Central New Jersey, Giordano counsels and represents individuals in complex litigation, including catastrophic injuries, medical malpractice and pharmaceutical errors. She appears on behalf of clients in various trial courts and has authored and argued numerous appellate briefs before the Pennsylvania Superior and Commonwealth courts. In addition to the NJAJ, Giordano is a member of the Philadelphia and Camden County Bar Associations and the Philadelphia Trial Lawyers Association. With nearly 2,100 members statewide, the NJAJ is dedicated to protecting New Jersey’s families by working to preserve and strengthen the laws for safer products and workplaces, a cleaner environment and quality health care. Its Women Trial Lawyers’ Caucus seeks to broaden the membership base of NJAJ to include women by informing them of NJAJ’s membership services and mission, to provide a support system of women lawyers to network, socialize, form professional relationships and develop female leadership for NJAJ, to provide fellowship and mentorship to newly-licensed female lawyers who embark on a career of trial law and to uphold the honor and dignity of the legal profession. Giordano is a graduate of the New England School of Law, where she received the Student Bar Association Outstanding Achievement Award. For nearly 10 years, she served as Chairperson of the Camden County Child Placement Review Board, a group of community volunteers who provide recommendations to the court regarding the placement of children taken out of the home and termination of parental rights. She is a member of the Board of Directors of Nexus/foundation for today’s arts, a non-profit art gallery located in North Philadelphia. Giordano also serves as a mentor for local high school and college students considering a career in law through programs like the Philadelphia Bar Association Advanced Civics Education (A.C.E.) program. A.C.E. provides supplemental civics education in areas such as fundamental principles of citizenship, democracy and dispute resolution to ninth grade public school students.